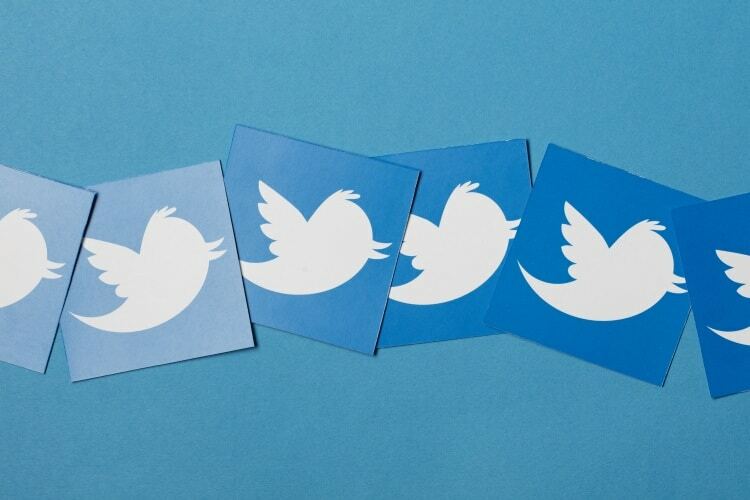 If this list of the top sports betting Twitter accounts were 100-plus, who the heck would read it? So it’s a perfectly arbitrary 63. This rundown — in no particular order — represents a mixture of sports bettors, sportsbook directors, radio guys and sources of data and analytics to inform your own wagers. Some accounts will provide injury news, legal and regulatory observations, or some laughs. For the most part, these people #sticktosports. The following list includes oddsmakers, bettors, industry experts, sports betting information sources, live movement reporters and more. Ken Pomeroy — NCAA Basketball Analyst. Pomeroy is the creator of a popular college basketball website and statistical database, kenpom.com. If you filled out your brackets without visiting, you did it wrong. Todd Fuhrman — A former oddsmaker at Caesars and co-founder of the “Bet the Board” podcast (NFL, CFB, hoops and golf). He also contributes “The Line” on SI.com and brings a unique oddsmaker’s perspective. Haralabos Voulgaris — Renowned for his betting prowess on the NBA, “Bob” is sharp and opinionated as it comes on pro hoops (profiled here by ESPN). Also, recently seen calling out the NBA and MLB on their “integrity tax” nonsense. David Purdum — As dialed-in to the sports gambling world as anyone. Purdum writes about gambling for ESPN Chalk, offers valuable Vegas insights and long-form stories about the gaming world. Also a nice guy. Jeff Sherman — The Westgate Las Vegas SuperBook manager is more than just golf odds. He posts game and updated futures odds as the book releases them and also shares worthwhile stories and scenes (and lots and lots of Golden Knights material) straight from the heart of Vegas. Warren Sharp — Sharp is an NFL specialist who has crafted his own predictive NFL analytics and visualized data. Lots of useful, unique information. If you’re not familiar, you’ve probably seen or heard his work before at ESPN, FOX Sports, VSiN, WSJ and others. Bill Krackomberger — A pro sports bettor who goes by the mantra, “My allegiance is never to any one team. Only family, friends and my bankroll.” He’s kind of an industry watchdog and as for the numbers, “Krackman” knows strategy and value. Roxy Roxborough — He doesn’t tweet much but when he does it’s worth listening. He’s a major gaming and Las Vegas innovator, founder of Las Vegas Sports Consultants, and regarded as one of the gaming industry’s most influential figures. Wes Reynolds— A well-known name on Sports Betting Twitter, he’s a professional sports bettor and a contributor on VSiN, Action Network and Las Vegas Review-Journal and other outlets. He bets NFL, NCAA basketball and golf. Follow along for notes and angles. Always learning. Matthew Holt — COO at CG Analytics and Vice President of Business Development for CG Technology. He posts very often about in-game sports content, books, and sportsbook betting liabilities. Chris Grove — He’s a gaming industry veteran and analyst, the founder of the US branch of Catena Media. He’s plugged into the industry and follows the sports betting legislative happenings, and posts tweets and retweets on a variety of gaming subjects. Joe Ostrowski — A Chicago guy through and through and friend of Sports Handle, Ostrowski hosts “Early Odds” on VSiN where he shares his insights and speaks with the top sports bookmakers and sharpest bettors around. Also is the AM drive anchor on 670 The Score. Dave Tuley — Veteran sportswriter and avowed ‘dog player, Dave formerly wrote for ESPN and now writes for VSiN about all aspects of betting in Las Vegas. Ted Sevransky — “Teddy Covers” is a seasoned sports bettor who’s active in video and on the radio. He’s spent about two decades in the desert and curates a good feed indicating line movement, sharp and square positions, mainly covering hoops (NBA and college) and football (NFL and college). Robert Walker — The widely respected USFantasy/USBookmaking partner is the former Director of Sports Betting operations for MGM-Mirage, Genting and Boyd Gaming. He’s attuned to sports betting legislation happenings and frequently opines on the subject. Captain Jack — A pr0sports bettor based in New Jersey who’s informed about the industry and offers good insight. Jay Kornegay — One of the most well-known and forward-thinking sportsbook operations minds in Las Vegas, Jay runs the Westgate Las Vegas SuperBook and drives the consistently-growing Las Vegas Westgate SuperContest. Beating the Book — This handle is run by Gill Alexander who is a host for VSiN Live’s “A Numbers Game” and also hosts the “Beating the Book” Podcast which focuses on the ins and outs of gambling strategies, and which we belatedly (shamefully) added to our “best sports betting podcasts” rundown. VSiN — The Vegas Stats and Information Network was founded by Brian Musberger with his uncle Brent Musberger as the face of the company and its main personality and host. You can find at VSiN.com and on SiriusXM Channel 204. Brent Musberger – As the face of VSiN, legendary sports broadcasts and sports betting aficionado Musburger covers the NFL, NBA, MLB, NCAA football, NCAA basketball and NASCAR. Robert DellaFave — Longtime iGaming, poker and and sports betting industry analyst. COO and content director for USBets (with which Sports Handle is partnered.) Likes video poker. Chris Andrews — Andrews has been a Nevada bookmaker for 25 years in Las Vegas and Reno. After founding the website Against The Number in 2013, Andrews has gone back behind the counter as the sportsbook director at the South Point. He’s also a contributor for VSiN and across all platforms, Twitter included, he brings great perspective plus some jokes. ProFootballDoc — The former Chargers head doctor handicaps athletic injuries as well as anyone out there. Offers his own podcast and is a frequent guest on several more sports betting podcasts. Also an analyst for @ClaytonFootball and SiriusXM as a sports medical analyst. Whale_Capper — An NFL, NBA and tennis handicapper, good sense of humor, puts out the podcast “Deep Dive” and his projections, and tracks them on a spreadsheet for public consumption. John Brennan — Longtime, veteran reporter for the Bergen Record, he’s located in New Jersey and followed the state’s legal and political fight for sports betting as long and as closely as anyone. Now files his stories for USBets and sister sites including articles on sports betting for NJ Online Gambling. Spread Investor — Handle for a website launched in 2014, the group provides bettors with “the stats, trends, game analysis, and betting strategies that they need to make smarter wagers.” Focus on NFL, NBA, and College Basketball. Chad Millman — Formerly of ESPN and host of “Behind the Bets,” Millman recently took his talents The Action Network as the head of everything. He hosts a new podcast called “The Buffet” and is building out a network/team devoted to betting smarter and making smarter bets. Ben Fawkes — Ben is in charge of Chalk, ESPN.com’s gambling section. He delivers updates on betting action at most major Las Vegas sportsbooks. Dustin Gouker — Dustin is a seasoned reporter who covers the sports betting, DFS and poker industries for Catena Media. He’s been on the beat for a while and has a hand on the pulse. Rufus Peabody — Rufus is a sports analyst and professional sports bettor, currently traveling the world on Remote Year. An Ex-ESPN “predictive analytics expert,” half of Massey Peabody analytics and co-host of “Bet The Process” podcast. Matt Youmans– A former Review-Journal sports betting columnist, NFL/Raiders and UNLV basketball beat writer. Informed opinions and picks. You can hear him on VSiN and ESPN Radio 1100 in Las Vegas. Tony Miller: The Las Vegas Golden Nugget sportsbook director. A combination of comic relief and his views on sports and a perspective from behind the counter. Berryhorse– Featured in our story here, he’s a computer science/mathematics devotee who devised a sports betting model that has enjoyed a lot of success in the 2018 MLB season. Brings a fresh perspective to wagering and he’s one to watch in the space and in the upcoming NFL/CFB season. Howard Stutz — Longtime reporter-columnist for the Las Vegas Review-Journal, Stutz has covered the gaming industry, Stutz is now the Executive Editor at CDC Gaming Reports. Follow for valuable insights on the industry. Steve Fezzik — Fezzik is a former accountant and now a professional gambler living in Las Vegas. He’s the only two-time winner of the NFL SuperContest (2009, 2010). Aaron Kessler: The guy behind the guy (Miller). Kessler is Golden Nugget’s assistant sportsbook director. Entertaining and insightful account. Roy Williams: I'm going to honor Virginia by leading my team to the most embarassing second round game possible! Mick Cronin: You call that embarassing? I'll show you embarassing! Dr. Bob Stoll – Dr. Bob is one of the most profitable and respected handicappers in the nation. Featured on ESPN, CNBC, and the Wall Street Journal, Dr. Bob covers College Football, College Basketball, NFL, NBA, and MLB. Evan Silva — Rotoworld’s senior football editor. If you don’t read his “Matchups” column during the NFL season, you’re doing fantasy football and/or NFL wagering wrong. It’s a long read but that’s what the porcelain throne is for. NFL_totals – Passionate about sports and sports betting, specializing in, yes, totals, mainly NFL and college hoops. Provides snippy commentary on the world in sports that will make you laugh and nod your head in agreement. Spanky — We don’t know much about the guy personally but he’s a seasoned sports bettor (perhaps more of a “middler”) who controls a lot of accounts, and he has a pretty engaged following on #GamblingTwitter. Listen to him on the “Business of Betting” podcast here. Adam Burke — We previously listed Bang the Book as one of our favorite podcasts. The host of Bang the Book Radio, which covers all sports with great guests, is Adam Burke. The Cleveland native keeps an entertaining feed and will keep you plugged into the podcast offerings, plus he shares images of various beers he’s trying, which is nice. Adam Kramer — He writes about college football for Bleacher Report. Enjoys craft beer of all varieties. Plays many games of Golden Tee. BullshiterzBlog — Co-host of the “Cash Considerations” podcast, he’s a Pennsylvania native (Pittsburgh), Penn Stater, Las Vegas sportsbook veteran, and frequently posts some fun and insightful conversations that he observes behind the counter. "I think Tyrod is going to lay one on his old team tonight. He is playin the whole first half too. Gimme #Cleveland 1st half money line for 3200"
Price -170. "Oh good, thought it was higher"
Andrew Brandt – He’s a director at Villanova University’s law school, a contributor to TheAthletic and MMQB.com, a frequent speaker on sports law and sports betting, and former Green Bay Packers Director of Player Finance and General Counsel. Not a bad resume. He brings informed opinions and insight to the Twitter-verse. Cousin Sal – Sal is a writer and on-screen performer “Jimmy Kimmel Live.” A self-proclaimed degenerate gambler, Sal hosts “Against All Odds” on the Ringer Podcast Network and also partakes in a weekly “Guess the Lines” Podcast on the Ringer Podcast Network with Bill Simmons. Lauren Joffe — Joffee contributes to The Action Network. She’s an avid sports bettor, may or may not be an Olympics expert, and is definitely funny. NFL Injury News – Bringing you all news surrounding injuries to your favorite NFL players and teams. Part of the SprtsInjryAlert and FantasyPros networks. Scott Van Pelt – Host of the midnight edition of SportsCenter. For a Twitter audience 1.92 million followers, SVP provides his take on the sports covering both professional and collegiate sports often with his own self-deprecating wit and disposition toward celebrating stars and storylines. Stanford Steve — Works on SportsCenter with Scott Van Pelt both in front of the camera and behind the scenes. Their weekly “Bad Beats” piece is wonderful (above). The former Stanford tight end also co-hosts the ESPN “Behind the Bets” Podcast. Jon Campbell– Campbell is an analyst at OddsShark. He provides insight on lines and interesting sports betting statistics for wide range of sports. Pretty much all of them. 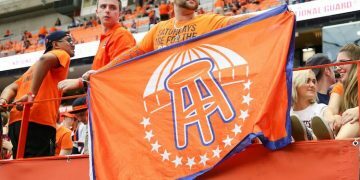 Thomas Casale— Part of the RotoGrinders sports betting team, Casale is an avid college basketball and football bettor, loves futures, and his heart bleeds (Syracuse) Orange. SportsOddsHistory – Updates on futures odds and looking back at archived futures odds (here). Covers: NFL, NBA, MLB, NHL, College Football, College Basketball, Golf, Tennis, Soccer, Olympics, Horse Racing, NASCAR, Tour de France, World Series of Poker, and in non-sports, the Academy Awards. KyDerbyJay — We don’t know his full name (probably Jay?) or much about him at all. He’s an occasional guest on BetTheBoard, a lawyer and knows what he’s talking about on sports betting. Check back in there around Triple Crown season. Dave Mason— He’s a Philly guy and works in sportsbook management/marketing. Guest of BetTheBoard on Thursdays during NFL season, sharing “sharp’ and “square” action and provides behind the counter perspective. Rob Perez— Wob is part-machine and posts a plethora of NBA clips/action/observations/musings pretty much whenever NBA games are on TV. Now a member of the Action Network. He also live-tweets police chases. RJ Bell: Bell is a somewhat controversial sports betting figure with a lot of fans and many detractors (some of it directed at @pregame). He’s mixed it up with Musberger and others on this list. Pick a side if you’d like. But he has a good grip on the pulse of Las Vegas sports betting and provides an entertaining Twitter feed. He’s basically the Darren Rovell of sports betting: you may not like him, but probably still follow him just to see what’s up there. John Clayton – Doesn’t need an introduction… the longtime Slayer fan and ESPN NFL guru has pivoted to a subscription-based site “Clayton Football,” with a sports betting bend. It’s fairly new, so we’ll wait and see on the site. William Hill US – Will Hill is U.K.-based bookmaker and Nevada’s largest sportsbook operator with 100+ locations. They also manage Delaware’s NFL legal parlay wagering operations, and post their percentage of tickets vs. volume of wagers on college and NFL games at around 11:00 EST. DKSportsbook — Another sportsbook entry. 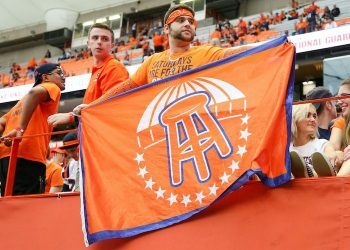 The handle for DraftKings Sportsbook (review here) posts with promotions, some injury alerts, wrestling GIFS and other memes. FDSportsbook — Same deal for DK’s sportsbook/DFS rival. 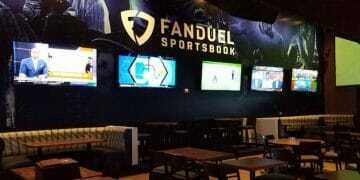 FanDuel Sportsbook (review here) spread information, line movements, promotions and memes! Matt Moore: NBA Writer for The Action Network. The guy knows basketball and you should inform your hoops wagers with his insight. Sports Handle: Widely regarded as the greatest website on the Internet… oh hey, that’s us. Thanks for reading and give us a follow. SportsHandle intern John Wilson contributed to this story.